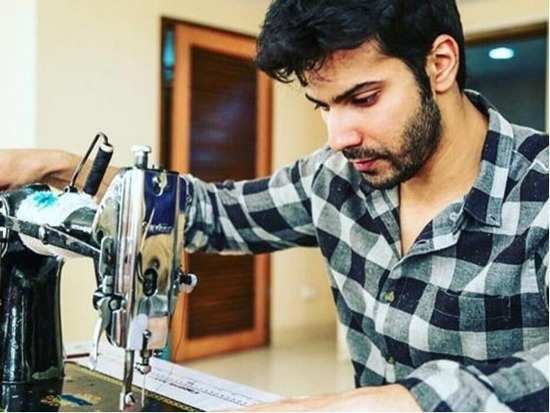 HomeCelebsVarun Dhawan visits a local 'Nai' to get into the 'Sui Dhaaga' look! Varun Dhawan visits a local 'Nai' to get into the 'Sui Dhaaga' look! Bollywood star Varun Dhawan has come up with a really cool idea to promote his upcoming film 'Sui Dhaaga'. The actor visited a local barber shop to get into his mauji look from the film. “Varun is starting the last leg of 'Sui Dhaaga' shoot in Mumbai and he had to get into his Mauji look again for the film. Varun had full beard and he had to shave it all off and get just the moustache and for this, he decided he would go to a local barber shop,” a source revealed. The film also stars Anushka Sharma in the lead and is slated to release on September 28. Inspired by Mahatma Gandhi’s ideology of Make In India, the film has already been making quite the buzz. Well, we can hardly wait to watch it. What about you? Stay tuned for more updates. 1Varun Dhawan visits a local 'Nai' to get into the 'Sui Dhaaga' look! 6'Zero' teaser: We couldn't have received a better Eid gift! 7Kylie Jenner deletes all photos of her baby girl, Stormi Webster on Instagram! 8Nick Jonas brings Priyanka Chopra as his date to cousin's wedding!